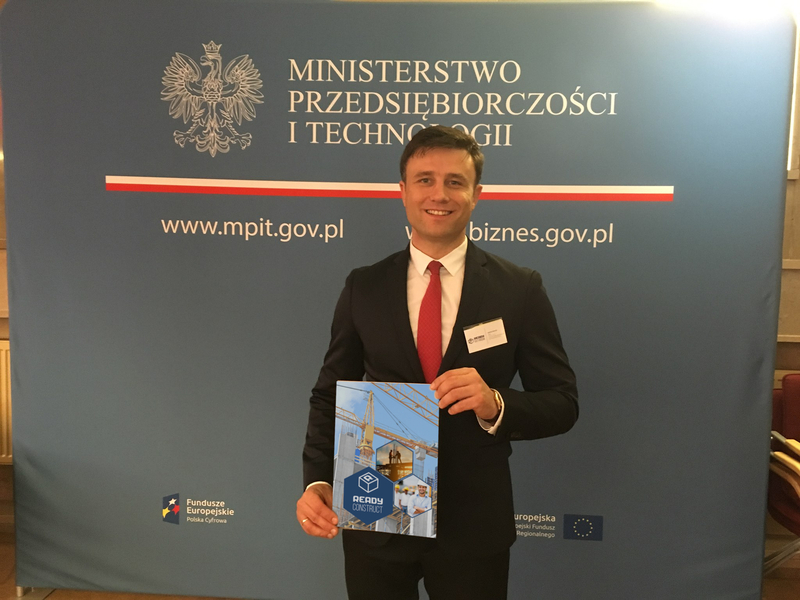 Thanks to the cooperation undertaken with the Polish Investment and Trade Agency, I am sending an order for the delivery of 300 equipped bathroom modules for housing construction. The contract is worth about DKK 10 million (PLN 6 million). The Kingdom of Denmark is not only an open market for innovation, where Polish products are well recognized, but also called the Gateway to Scandinavia. Denmark is a European leader in the use of prefabricated construction for the implementation of housing, hotel, student housing and senior housing projects for many decades. 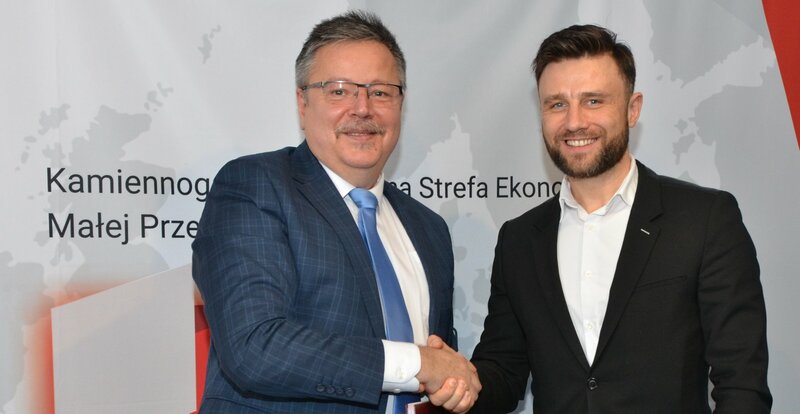 Today, Ready Bathroom have signed with the Kamienna Góra Special Economic Zone of Small Entrepreneurship a decision on support, which allows the entrepreneur to use public aid for the amount of nearly PLN 7 million. Ready Construct & Ready Bathroom. 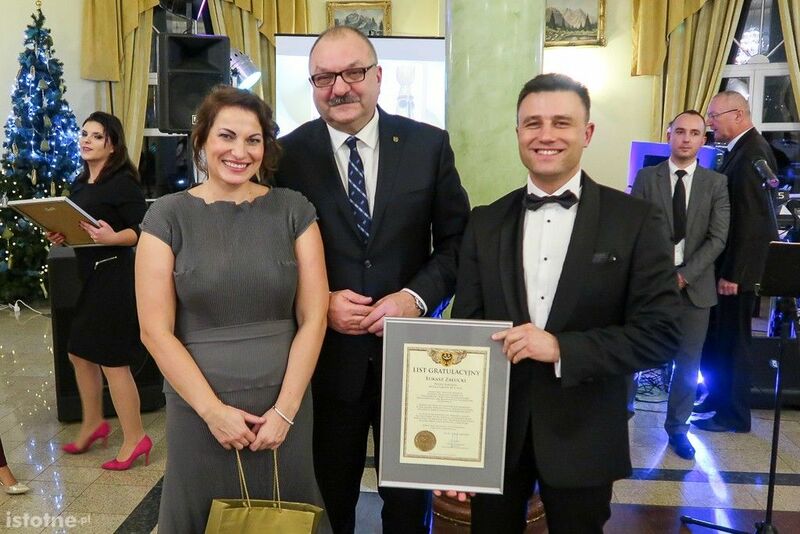 that received the Kazimierz Statuette. The statuette symbolizes the most dynamically growing enterprise in 2018.
the participants. Higher enterprises and member states abroad. "Never give up" in Polish and English. The book is the effect of cooperation between entrepreneurs who wrote it to inspire and help other entrepreneurs to persistently achieve their goals. We encourage you to read, maybe it will inspire you. Never, never and never again "
We invite you to watch the interview with CEO Łukasz Załucki, who talks about his successes in business. Łukasz Załucki has been operating in the Bolesławiec market for 12 years. Over the years, he built the Ready Construct and Ready Bathroom companies. Currently, Ready Construct is the General Contractor of AutoPort in Godzieszów. At the motorway node in Godzieszów, the largest driver service complex in Lower Silesia is created. 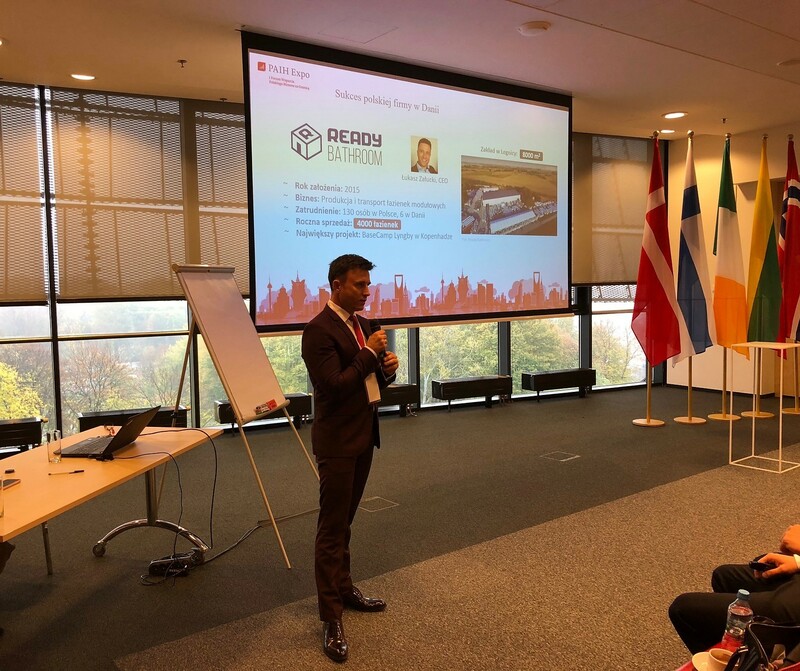 The investor PTS Invest Group together with the General Contractor Ready Construct talk about what AutoPort will have to offer in Godzieszów. Do you want to be up to date, please visit the gallery. CEO of Ensila Group, Łukasz Załucki, gave a speech entitled "Success is not a coincidence" at the Young Entrepreneur gala. He shared with the young people his experience gained over the years. The organizers of the competition were: Bolesławieckie Towarzystwo Gospodarcze, Powiat Bolesławiecki and Księgarnia "Agora". We congratulate the winners and wish them further successes. the Education and Educational Institutes in Lwówek Śląski and the Disabled People Foundation "Płakowice". Today's Review has also provided an opportunity to give special thanks to CEO Łukasz Załucki of Ensila Group in Bolesławiec, thanks to whom goodwill and beautiful works were done in ZPEW. - We wanted to thank the Mr for a great heart and support us. Thanks to you, we managed to do even more in this end of the year than we planned ... - said Marek Sokołowski, Director of ZPEW, handing over a small gift to the President of Ensila Group. - In fact, helping you is a great pleasure ... - said thanking Mr Łukasz Załucki. In an interview with the Bolec.info website, Łukasz Załucki, CEO of Ensila Group, talks about investments in modular construction and plans for the future. 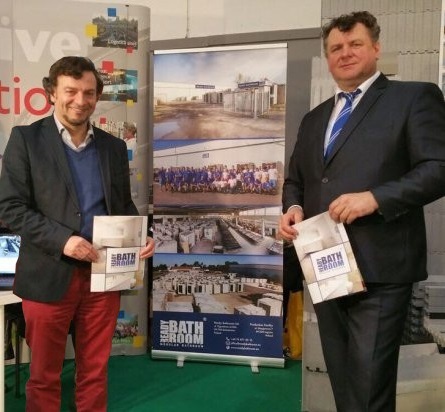 As part of the International Batibouw Fair, which took place this year at the end of February, a seminar was held discussing the offers of the Polish construction industry present on the Belgian market: passive technology, modular bathroom technology and the latest achievements and experiences within this segment. Two companies from Ensila Group (now Ready Construct) with their Belgian partner and Ready Bathroom presented at "Polish Innovations on Belgian Construction Market". 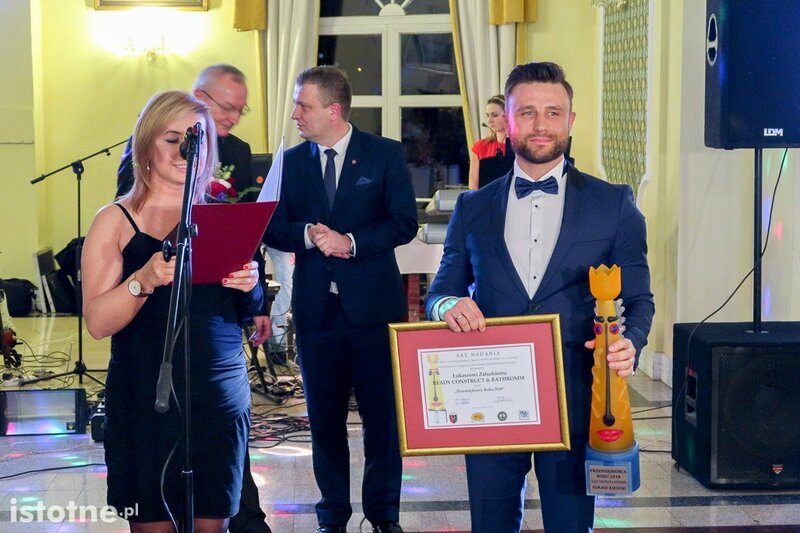 CEO of Ensila Group Łukasz Załucki in the "Entrepreneur of the Year of the Bolesławiecka" plebiscite received the Business Rocket, which symbolizes the most effective company in 2016. The jury of the competition appreciated the work and many years of effort put into the development of local entrepreneurship. 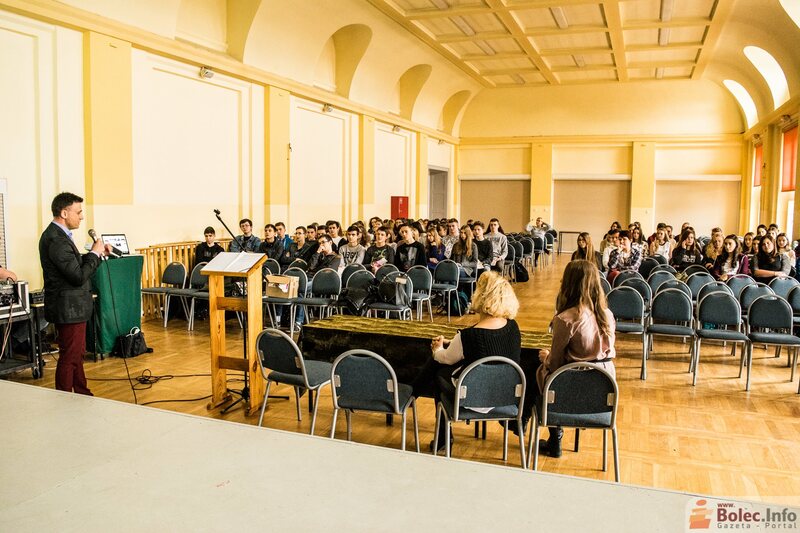 CEO of Ensila Group Łukasz Załucki at a meeting with high school students at entrepreneurship workshops organized by Agnieszka Partyka, businessman of the board of the "Embassy of Entrepreneurship Dolny Śląsk" shared his story, after which he presented his own way to success. Many high school students have managed to prove that in order to achieve success, you do not have to "be born in a bonnet". A great career can have a source of hard work.